I've recently moved to Dublin, Ireland, the country of Guiness and leprechauns! 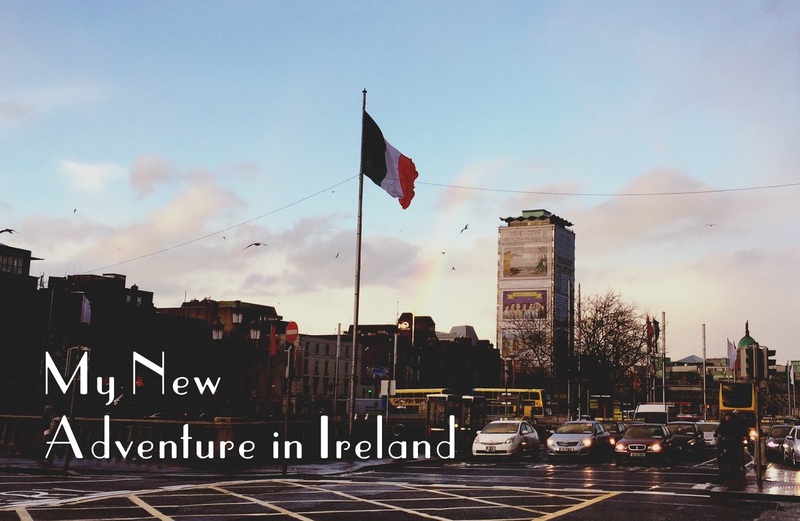 Over the next two posts, I will write about some of my interesting discoveries in Ireland, and a little overview of living on a gluten-free diet here in Dublin. Finding a flat in Dublin was actually extremely difficult - the demand was incredibly high. For the first one and a half months after I arrived, I moved from one Airbnb apartment (or hostel) to another, while looking for an apartment to share with my partner. Eventually we were very relieved to finally find a lovely landlord and a charming flat. :) After all, it took us almost 7 weeks to secure a one bedroom apartment, just 20 minutes walk from Dublin city centre. Perhaps this is all normal for apartment hunting, although I've rented a flat in Brighton, and it surely wasn't this hard. I have heard that there is a severe shortage of rental property in Dublin, and some say that it is partly due to the fact that more landlords are favouring to rent out their house/rooms for short-term visitors on Airbnb, rather than renting out longer-term. Luckily, for me, I actually had such a great experience during this time spent moving around the city - meeting new people everyday, making good friends, and building my confidence to deal with difficult situations, all of which has made me a lot stronger. It's certainly not easy though...I wish all the apartment hunters out there the best of luck! When going for a viewing, you need to be prepared; wear smart clothes, speak with a nice smile and a friendly demeanour, and most importantly, bring with you reference letters from your work and previous landlords/ladies. Be aware of scams - if it looks too good to be true, it probably is. If anyone asks to pay the deposit right away via Airbnb, be very very very wary! My apologies..I didn't intend to talk about rubbish in my food diary...! :D Still one of the things that blew my mind when moving to Ireland was that bin collection is privatised, which means that you have to buy a 3.65 euro branded bag if you want them to collect it! Back in the UK, we used to have this massive wheelie bin in front of our house, which the local council takes care of. However, in return we have to pay council tax - here in Dublin, there is no such tax! So, there are a number of waste collection companies, and they sell their own bin bags in local shops. My choice of company charges 36.50 euros for 10 refuse bags and 19.00 euros for 10 recycling bags. It was such a surprise when I first discovered this, but it's good in a way because it helps us try and reduce our household waste and put more into the recycling. Thank you for reading my blog, Andrei! You've got a lovely blog with beautiful photos. :) Keep up your great work!